Matteo Darmian has said that Eric Bailly’s sending off in Thursday night’s clash against Celta Vigo will only spur on Manchester United to lift the Europa League title at the end of May. 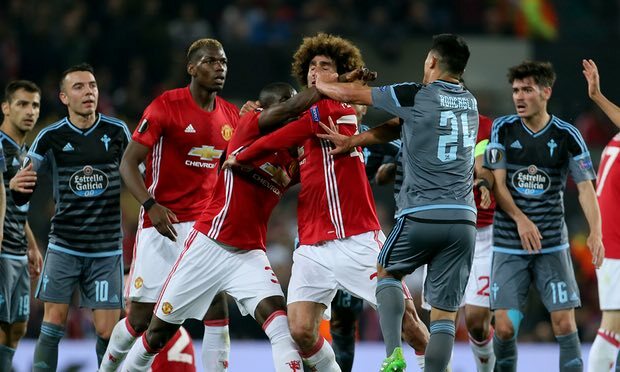 The Ivorian clashed with several Celta players in United’s 1-1 draw with the La Liga side, before being shown red on the 87-minute mark. Despite drawing the game, it was enough to see United through to the final, where they will face Ajax in Stockholm on May 24; however, due to suspension, Bailly is set to miss the game. Regardless of this, Darmian still believes United can win the game, and they will use the absentees on the night as motivation to lift the trophy. “Of course, he was not very happy for the red card but he’s another reason to win the Europa League and I said that before if a player cannot be on the pitch,” he said. “Eric has had a fantastic season, in his first for United he’s been brilliant but we have other players who can cope with his absence. He’s very important for us, he’s a good player for us but like I said we have other players who are also very good. Now we go every time to win with the same mentality. “It is always good to reach a final. It was very important for us to reach this final and it’s always good if there is a possibility to win a trophy. We go to Stockholm to win the Europa League because it’s a great opportunity for us to play Champions League next season. “Now we are in the final we want to conclude the rest of the season well so we have to be focused. We have the last three matches of the Premier League and then this final. Since the Europa League semi-final, Mourinho has said that Bailly will play in all three remaining Premier League fixtures, and that Sergio Romero will start in the final on May 24.